China and Japan are right to insist on secrecy in discussing how to resolve the East China Sea dispute. The past few weeks have seen reports that a top Chinese official visited Japan to discuss how to alleviate tensions in the Senkaku/Diaoyu dispute. 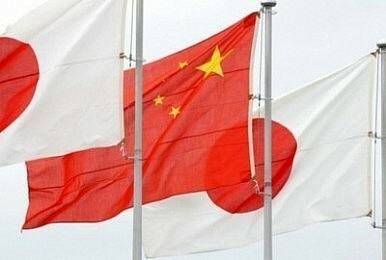 Beijing’s secret envoy is said to have met with a high-level official from the Japanese Foreign Ministry. Rumors suggest that the two governments may have exchanged envoys on the islands dispute several times over the last few months. Beijing and Tokyo had, apparently, hoped to work towards a bilateral summit on the Senkaku/Diaoyu, although they failed to find sufficient common ground to make that possible in their last exchange. But the fact that the two states are not proceeding quickly to a more public forum should not distress us too mightily: there are at least three good reasons why we should hope that secret diplomacy between China and Japan continues, and why it may be particularly crucial in a conflict like the Senkaku/Diaoyu dispute. First, as has been obvious since 2010, the dispute over the Senkaku/Diaoyus engages nationalist sentiment about as much as a limited-stakes conflict could. It is difficult to make the case that either Beijing or Tokyo claims sovereignty over the islands for their inherent value. Rather, each side’s claims are informed by a long history (see here for a brief rundown of that). The last serious flare up of this dispute in 2012 resulted in energetic demonstrations, trade retaliation, and any number of other reactions that are not commensurate with the material object in dispute. We were reminded of this nationalist sentiment just last week when the Japanese Foreign Ministry posted to its website videos of its maritime claims, prompting outcry in both Beijing and Seoul. Under these circumstances, private diplomacy is particularly important, as it allows Tokyo and Beijing to probe each other’s positions for some common ground without enraging their domestic audiences. China claims that the Diaoyus are part of its “inherent” territory and Japan, who administers the islands, has traditionally claimed that there is, in fact, no dispute at all. For an arrangement to be reached, each state will have to give some ground. It seems a lot more plausible that this could happen behind closed doors and in hushed tones, disengaged from domestic audiences and their reactions. Second, recent evidence suggests that Tokyo and Beijing are not new to secret diplomacy where this dispute is concerned, and that they recognize the value of using private channels to keep nationalism at bay. Earlier this week, a former Japanese cabinet minister revealed that in 2012, former Japanese Prime Minister Yoshihko Noda reached out to Beijing before telling his cabinet about the plan to purchase several of the disputed islands. Noda hoped to preempt Tokyo Governor Shintaro Ishihara from buying them, and specifically did so to assuage Beijing. According to this narrative, Tokyo was unable to reach sufficiently senior officials in Beijing to communicate the details of the plan before it became public, and those Chinese leaders who were inclined to accept Noda’s policy were sidelined as the CCP’s National Congress approached. Assuming this narrative is true, even the failed plan demonstrates that there was some inclination on both sides to find a modus vivendi. If mutual interest existed before, it should again, at least in theory. Finally, secret diplomacy may be an important tool because of what an agreement on the Senkaku/Diaoyus might look like. Once upon a time, Japan and China were content to agree to disagree on the islands’ status. But with tensions flaring up in the last several years, and both sides’ increased patrols around the area, it seems highly unlikely that Beijing and Tokyo will agree to shelve the dispute again. It also seems unlikely that they will solve it cleanly and in its entirety. A small set of islets is not particularly easy to divide. This is all the more true given that the islands’ worth is determined more by nationalism and history than by any inherent value, which might be resolved through side-payments. More likely is that Tokyo and Beijing may be able to develop a code of conduct for the disputed area. Ideally, they would also implement some form of information exchange that would give each side some predictability about the movements and locations of the other’s aircraft and maritime vessels. This could reduce suspicion on both sides, as well as prevent unpleasant surprises, such as accidental clashes. But this type of agreement would naturally be quite detailed and require concessions from both parties. If arrangements are not simple or binary, however, it makes a great deal of sense to work out the broad contours of a deal in private. Many countries in the East Asia, and certainly the United States, would be thrilled to see overt signs of real dialogue on the Senkaku/Diaoyu dispute, both because the issue itself is such a thorny one and because of what it would signal for the prospects for regional cooperation more broadly. In this particular conflict however, progress—at least in its early stages—may be best kept secret. Can Taiwan Bring Peace to the South and East China Seas? Could Taiwan be the key in solving tense regional disputes? Mounting Tensions in the East China Sea East China Sea: China Coast Guard Enters Disputed Waters Following Mattis' Japan TripMattis: Senkakus Covered Under US-Japan Security TreatyJapan to Shoot Down Foreign DronesIs China Carelessly Overextending Itself?